If it was said that Andre Berto was on his way to representing the Olympic team for the United States in 2004, but in a bizarre twist he was disqualified in the trials for a fluke throw down, one would most likely say “Yea, that makes sense.” Such as the career of Andre Berto, who every time gets close to getting to a big fight, something happens to set him back. This Saturday night at that AT&T center in San Antonio, TX, former world champion Andre Berto will return to the ring as he takes on Jesus Soto-Karass. For Berto, it’s a must win fight that will put him back into contention in the welterweight division ruled by pound for pound king Floyd Mayweather. A loss to Karass would not only be a setback for the 2004 Olympian (who was able to make it for Team Haiti but lost in the first round) it would most likely mark the end of his career. Things weren’t always so tough for Andre Berto. Coming up through the rankings Berto was considered one of the ‘special’ fighters. He has a great personality, he’s exciting to watch, and his skills and talents for boxing were considered exceptional. HBO loved him. It was almost inevitable that he would be a star in boxing, and maybe even one day a PPV star. Beginning in 2008 Berto was being marketed as the next person to replace Floyd Mayweather on the pound for pound list. 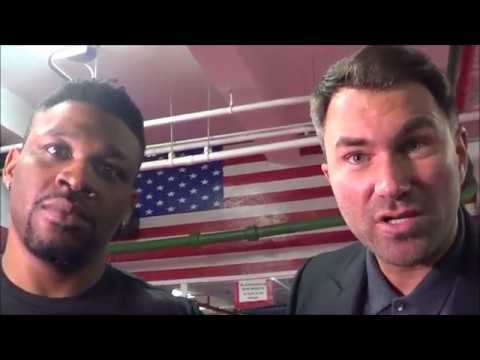 Being that he fights in the same division as Mayweather it was almost inconceivable that there paths would one day cross in a mega PPV event that would feature two of boxing’s top undefeated fighters. From 2008-2010 Berto began to take on, and defeat, tough fighters such as Luis Collazo, Juan Urango, and Carlos Quintana. His name was becoming bigger with each victory and that mega fight against Mayweather was itching closer. In January of 2010, just as he was about to face Sugar Shane Mosley in the biggest fight of his career where a victory would have brought his career to a higher level, an earthquake in Haiti devastated his home leaving him unable to fight and forcing him to pull out so that he can return home and help his family. 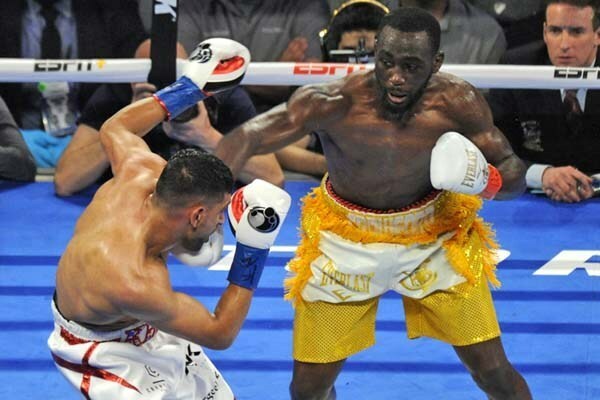 After the devastation and grieving of his family, in November of 2010 Berto would return to boxing with a crushing 1st round KO over Freddy Hernandez. In 2011, Berto seemed to be only a few fights away from facing the best fighter on the plant. The reputation was there, and aside from Manny Pacquiao, Berto’s name was one that drew interest among the fans when talking about the next best opponent for Floyd Mayweather. In April of 2011 though, another huge setback would stall Berto’s rise as he was hurt in the first round against another good fighter in Victor Ortiz. Berto spent most of the fight trying to regain his legs despite coming back one round later and dropping Ortiz in the second. The fight of the year caliber fight ended in Berto’s first loss, and a huge derailing in his boxing career. Oddly enough, Mayweather would choose to face Ortiz right after his victory over Berto, and one had to wonder if Berto would have got his chance if he had come out victorious that night. Two weeks before Mayweather beat Ortiz, Berto defeated Jan Zaveck to jump start his way back to stardom. But once again the career of Berto would take a hit as he suffered a tricep injury before the scheduled rematch against Victor Ortiz in Feburary of 2012. Things would only get worse after that. 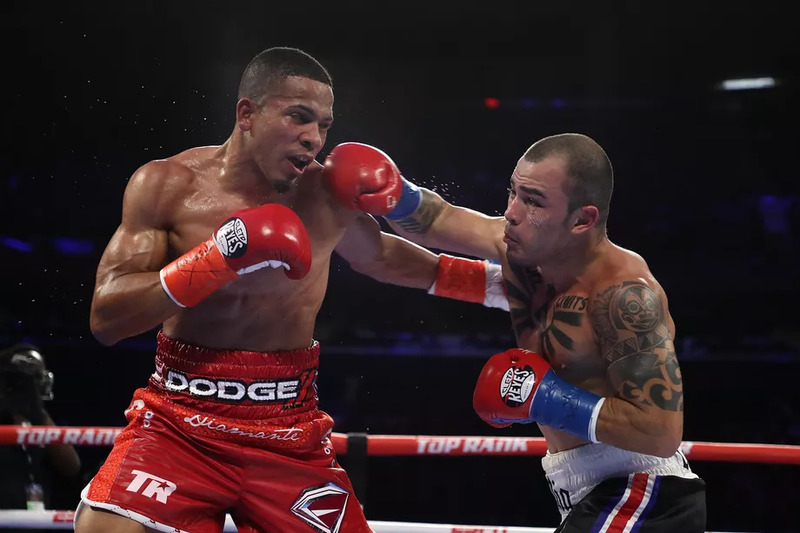 Once he recovered from the injury he tested positive for a banned substance called nandrolone that would cancel his already rescheduled rematch against Victor Ortiz for good and leave the future of Andre Berto’s boxing career in serious question. It would be another year before Berto stepped into the ring again where he would face a rugged, tough Robert Guerrero. No one really knew at the time where the winner of that fight would end up, but again it seemed that fate had different things in store for Andre Berto. Berto was down early against Guerrero, almost a mimic of what happened against Ortiz. 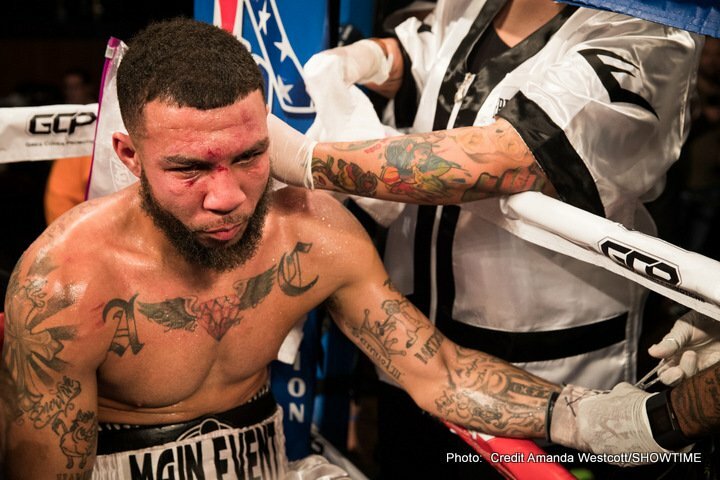 He spent most of the fight trying to regain himself and ended up losing another hard fought unanimous decision. Ironically enough, Mayweather would choose to face Robert Guerrero next once again making one wonder if Berto had missed another chance at the world’s best fighter. Andre Berto will make his first appearance this Saturday night in the 2013 calendar year. It’s a new beginning for the former champion. He still has the skill, he definitely has the heart, and he still has the personality to become one of boxing’s stars. 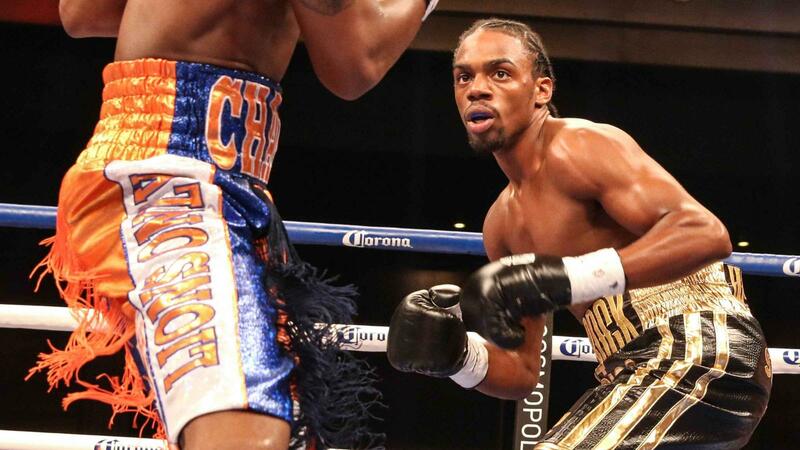 He also still has the interest of Floyd Mayweather who has said that he would like to face Andre Berto. Berto however must do his part. He must win. 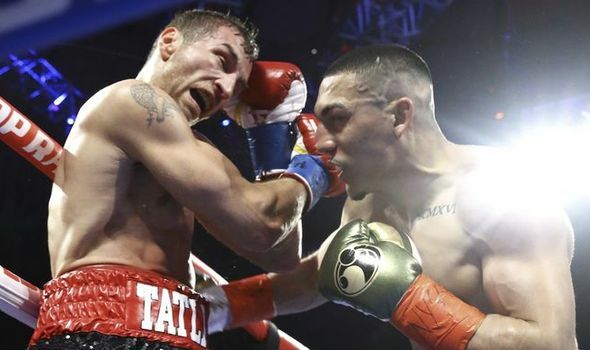 A victory this Saturday night would most likely put him in the running for a rematch against Ortiz or Guerrero, or shot at the Garcia-Matthysse winner. 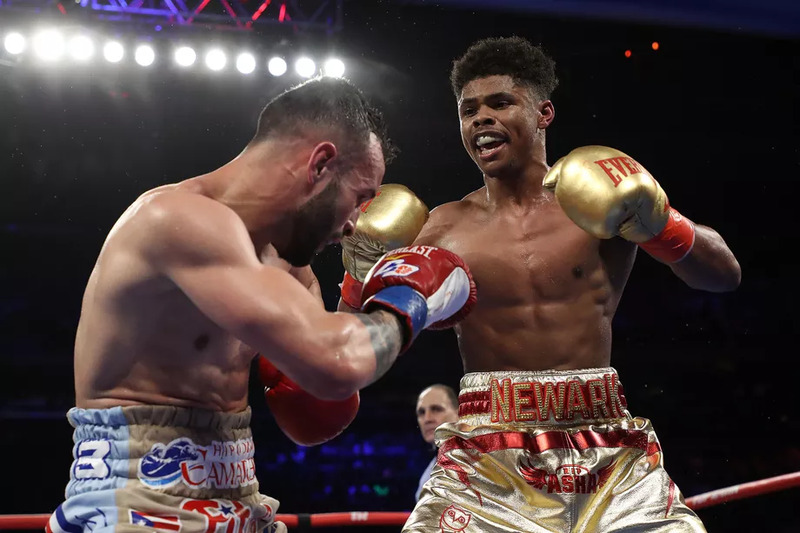 There’s also the possibility of facing Adrien Broner, Marcos Maidana, or another big named fighter that Golden Boy has a stable of in the junior welterweight and welterweight division. Despite what already seems like a long roller-coaster ride of a career, Berto isn’t out of the mix just yet. Winning this Saturday night is the start to redemption for a fighter trying to once again make waves in the welterweight division. It won’t be easy, but things never seem to be for Andre Berto.